The four common law Sheriffs who were assaulted and detained by Vatican employees acting under the direction of “Pope Francis”, Jorge Bergoglio, have been released from a Geneva municipal prison after negotiations concluded between their lawyers and Swiss authorities. The four men were flown by private jet to an undisclosed location for debriefing. Two of the released Sheriffs have declared their intention to bring a lawsuit against the Vatican security personnel who assaulted them while they were lawfully serving a common law arrest warrant on their employer, Jorge Bergoglio, who will also be named as a defendant in the lawsuit. In Rome, the Vatican has imposed a worldwide media blackout on the events in Geneva on June 21, including the disruption of Bergoglio’s planned address to World Council of Church delegates, his attempted arrest by the Common Law Sheriffs, and the cancellation of the Ninth Circle sacrificial ceremony at which Bergoglio was to preside at the Notre Dame Cathedral in Geneva at midnight. 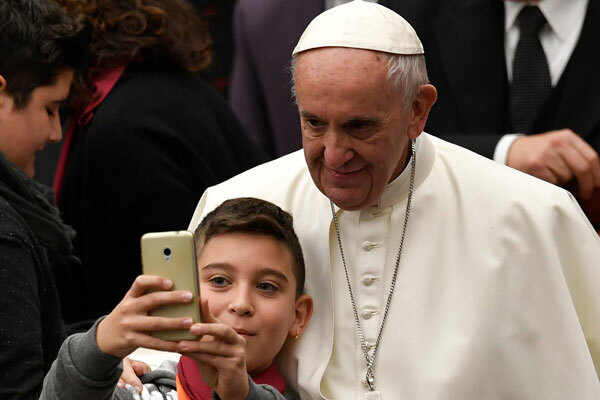 “Pope Francis” is slated to appear at public gatherings in Dublin between August 24-26, where further disruptions and common law arrests are being planned against Bergoglio as a convicted war criminal. Common Law Sheriffs armed with a standing arrest warrant confronted and temporarily restrained Pope Francis on Thursday as he approached the Ecumenical Center where he was scheduled to address delegates to the World Council of Churches (WCC). After a brief scuffle between the arresting Sheriffs and Vatican security, the Pope was released and rushed into a waiting vehicle. Two of the Sheriffs were heavily beaten and detained by the Vatican agents and then arrested by Geneva police along with two other people. This entry was posted in Religion and tagged Pope Francis, Vatican on July 4, 2018 by Bone Fish.